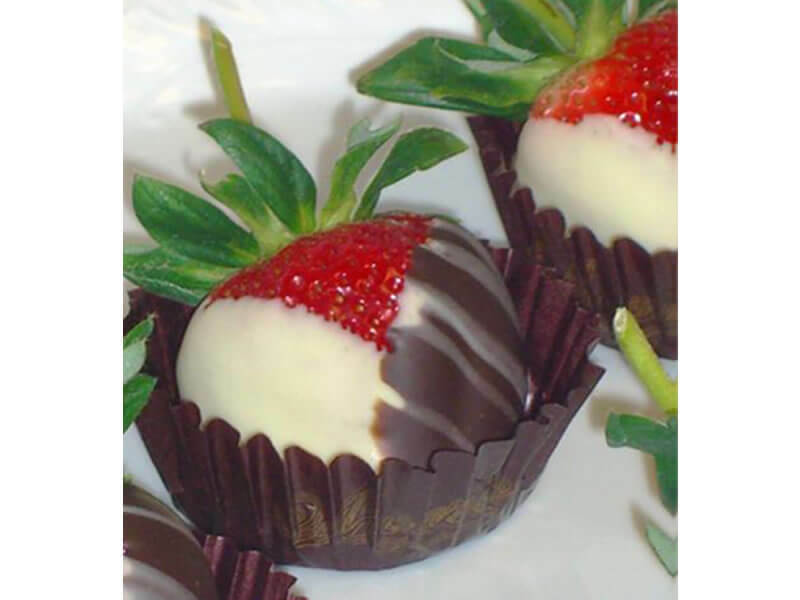 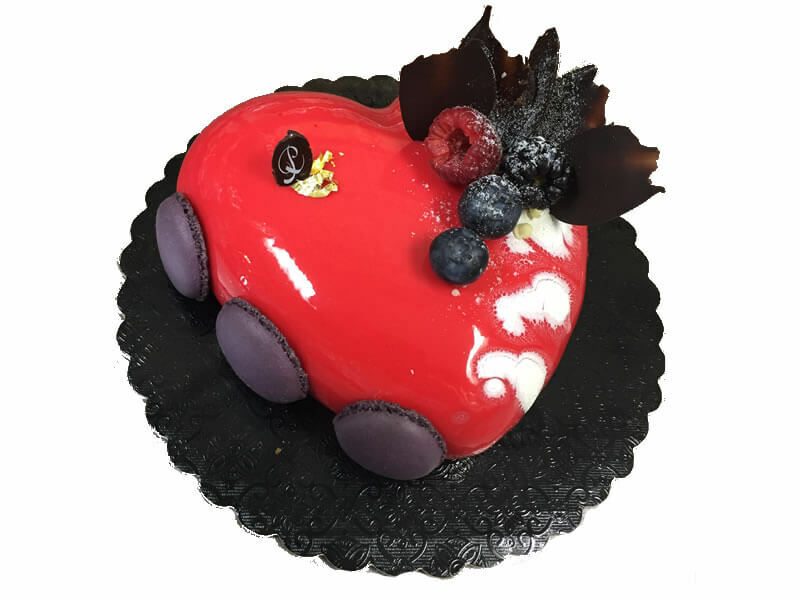 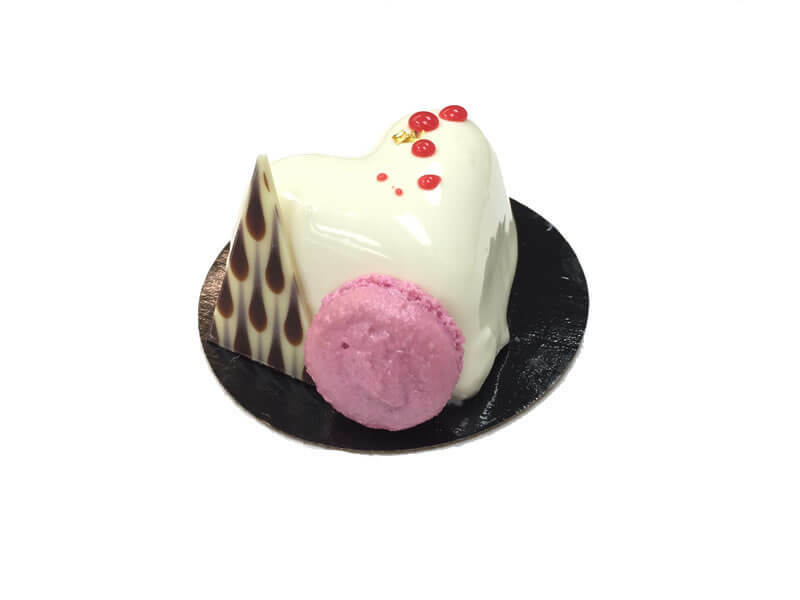 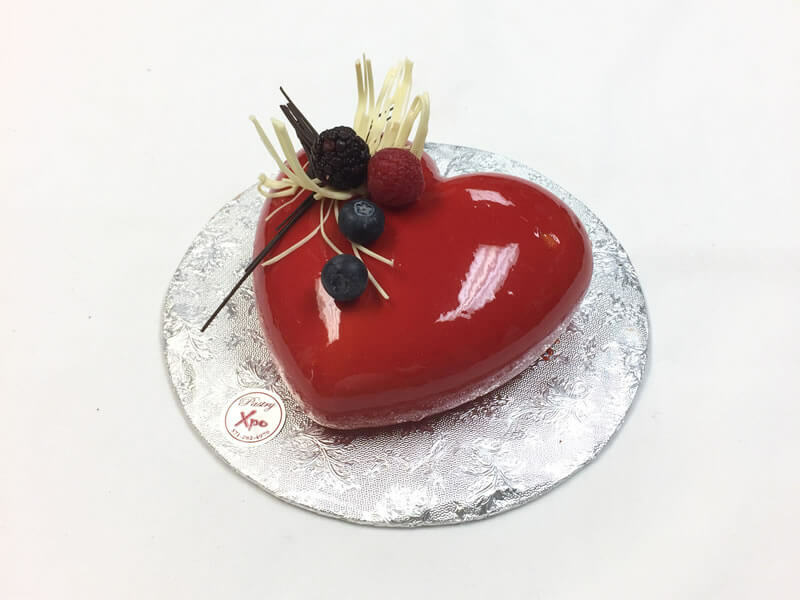 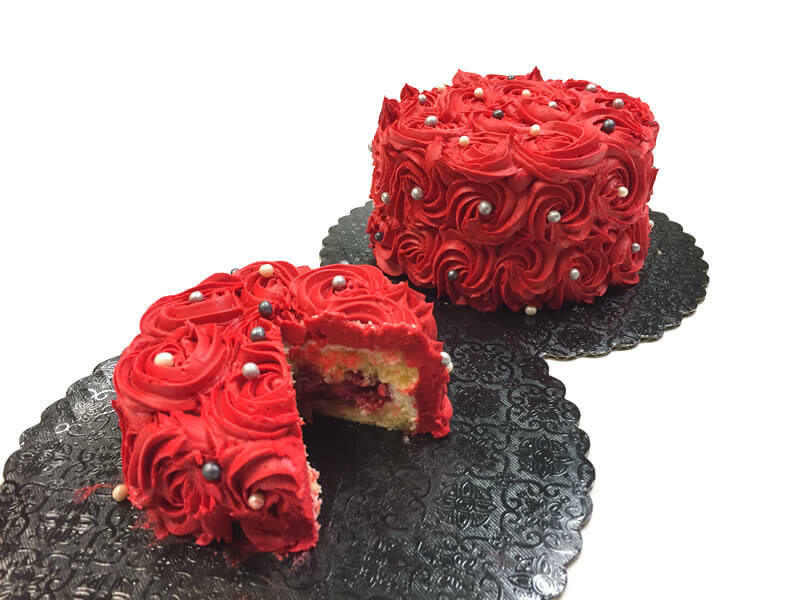 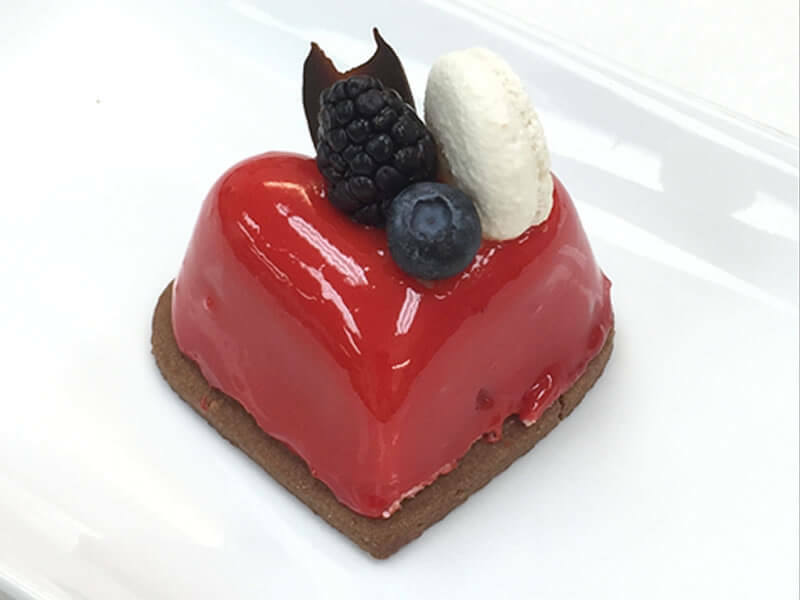 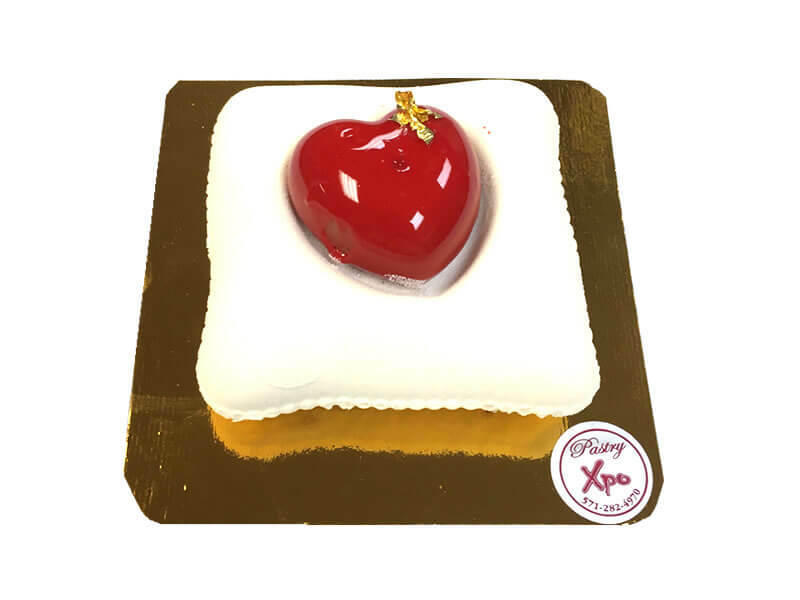 White chocolate Raspberry mousse with fresh raspberry in the center..
moist Vanilla cake, White chocolate mousse and raspberry, …. 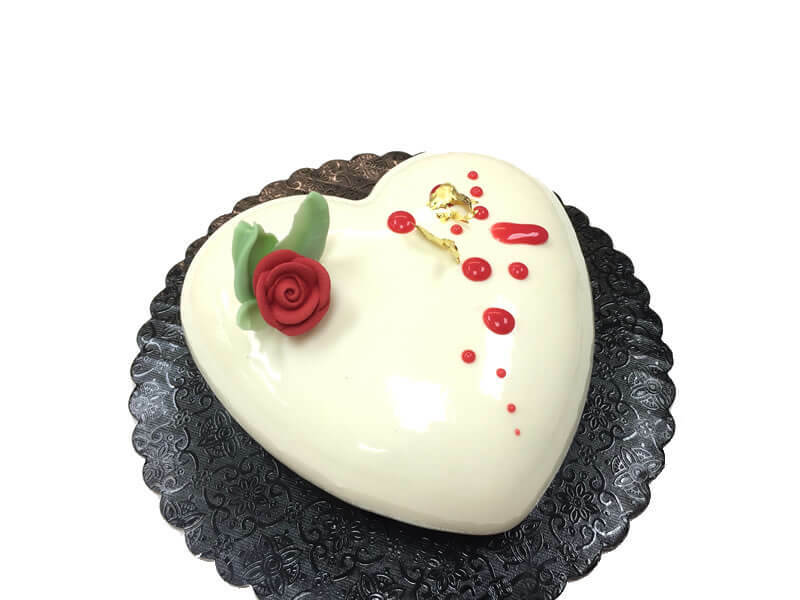 Filling: White chocolate mousse and red current. 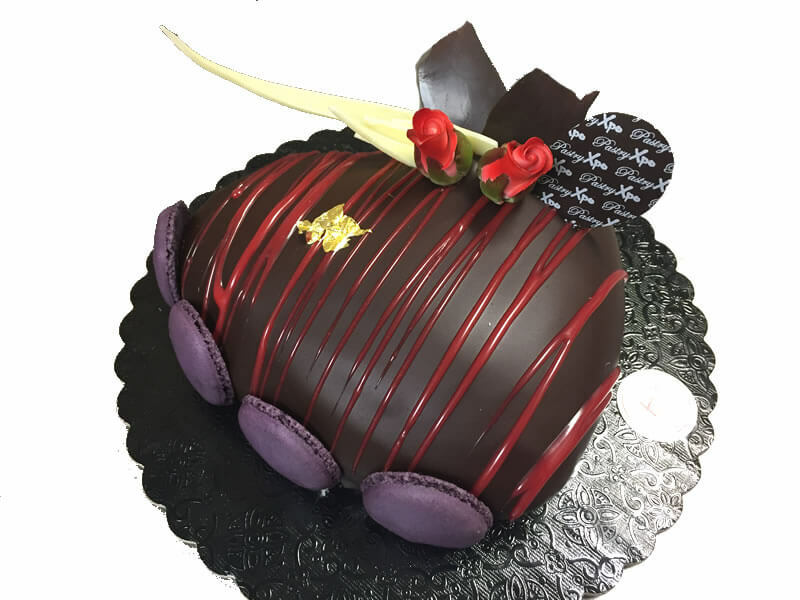 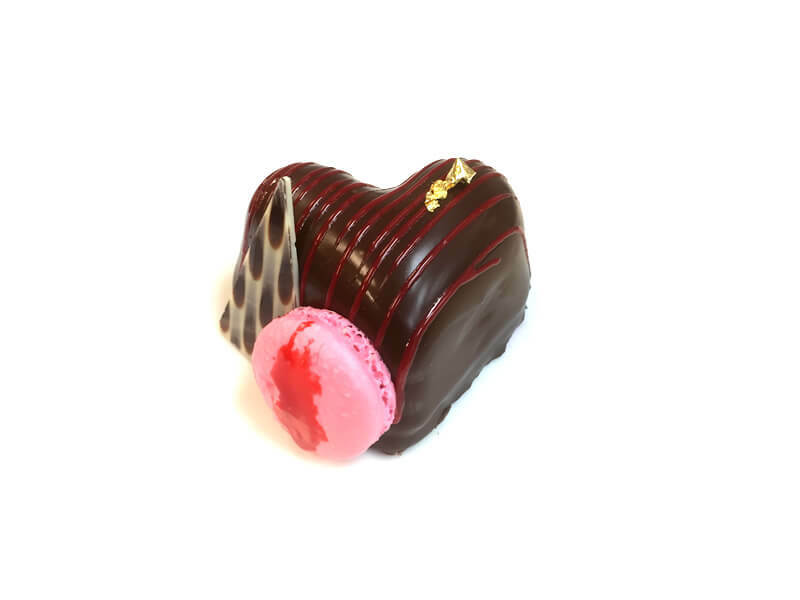 Chocolate raspberry cake covered with a Red white chocolate glaze. 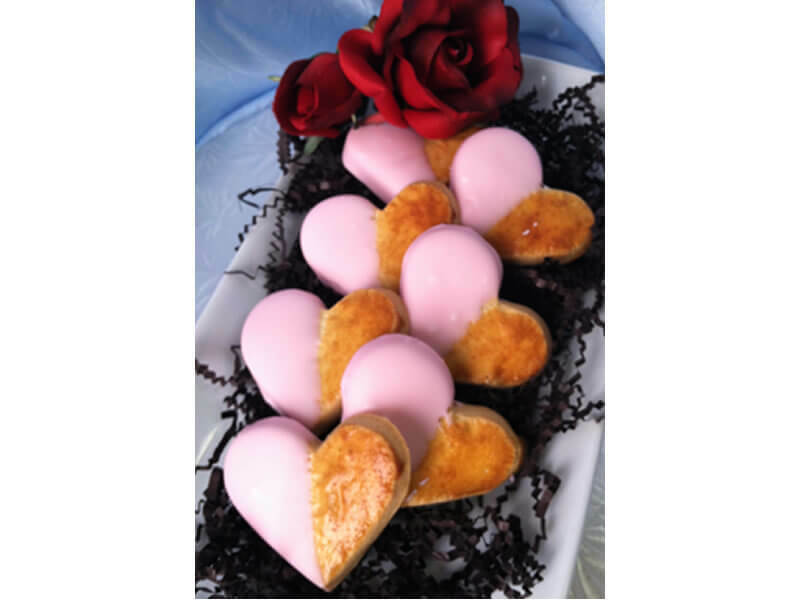 Short Bread cookie in heart shape dipped in fondant.